- Surface for all dimming power market. - 0.2 to 100% brightness. 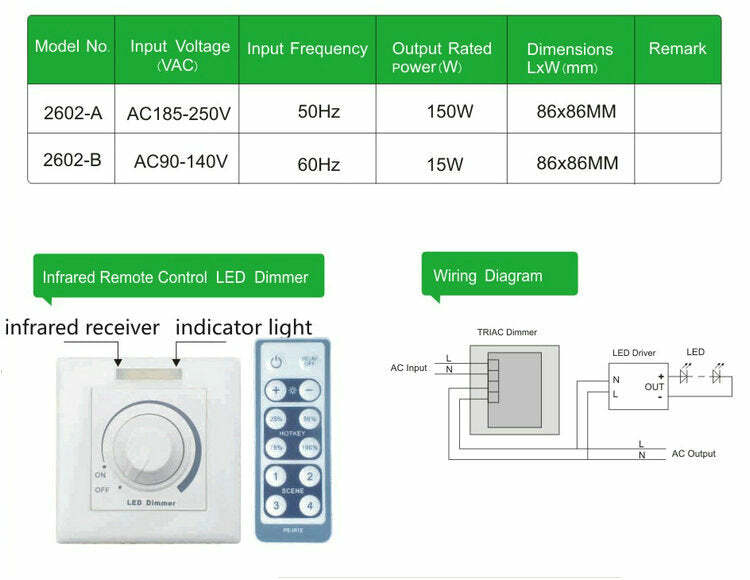 - Knob stepless dimming + per line remote control dimmer, convenient and practical. - 512 dimming, adjustable lighting and delicate soft and stable, flicker-free. - 25%, 50%, 75%, 100% 4 levels of adjustment quick selection. - 4 DIY scene mode, switch fluorescent indicator and many user-friendly design. - Shut down the brightness memory function. Click the small day scenario key for 3 seconds, you can adjust the brightness of a corresponding scene button. Hold the key scene more than 3 seconds, the indicator light long look Remember the current brightness of the keys to the corresponding scene.